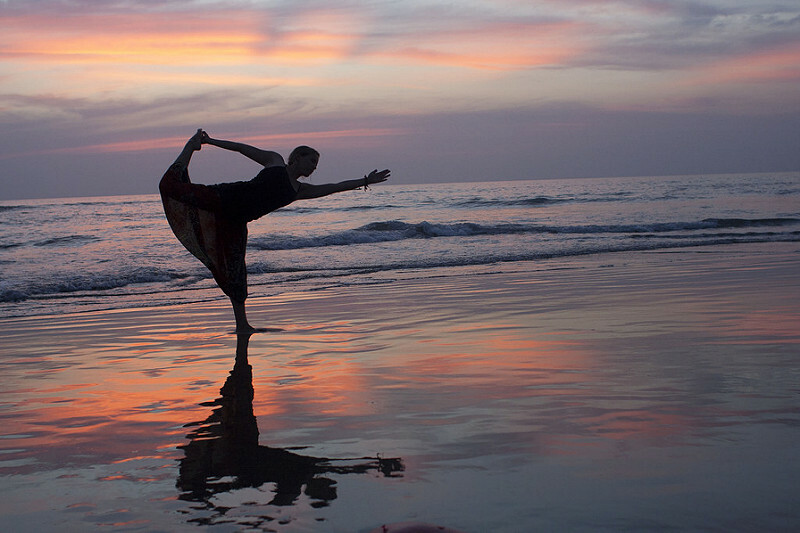 Yoga is continually growing in popularity. It’s something that will continue to grow as long as people are exercising. Doing yoga will allow you to become the most flexible you have ever been in your life. When you’re flexible, you greatly decrease your risk of injury and your body starts to function much better. When you are starting yoga, there are words that are used by instructors across the yoga community that everyone should know. Admittedly, when you first hear them, they are going to sound confusing. However, the more you actually listen to the words, the more you’ll be able to understand them. Below is going to be your cheat sheet for what you will hear in any yoga class. Remember this tiny guide and you will save yourself a lot of confusion in the middle of a class. Don’t be put off by any of these phrases. Not every yogi is going to approach you speaking Sanskrit but these are phrases that you will definitely hear at some point in your yoga journey so it’s best to make sure you have a tiny grasp of what is going on. Broken down, pranayama means controlled breathing. Breathing is an important part of yoga. It helps you relax and find your center while you are going through the different poses. When you hear an instructor say this term, they are using it to try and teach you how to breathe through each movement. There are different techniques for breathing that an instructor can tell you to do. Just know that when they say, “pranayama,” you are going to go into a breathing sequence. When this term is translated, it means to tighten or lock. It’s referring to your muscles. There are four different times of bandhas that you’ll hear: mula, uddiyana, jalandhara, and maha bandha. Mula means to tighten your pelvic floor. Basically, do the same exact thing as you would if you were to try and stop yourself from peeing if you’re about to. Uddiyana, you are trying to squeeze your abs into your rib cage. You flex your core with a slight tuck so that you get a slight curve in your back. With jalandhara, you are going to tuck your chin as close to your chest as possible. Maha bandha will force you to hold everything at the same time. You are holding everything together. Mantra means repeating words and/or syllables. An instructor may tell you to pick a mantra at the beginning of a class and to repeat it in your head throughout the class. It is believed that mantras have spiritual powers and you’ll be able to find inner peace when you repeat them. When you repeat mantras, you are teaching yourself how to control your thoughts and mind in general. Asanas are postures or poses. Any yoga pose you are asked to do can be referred to as an asana. 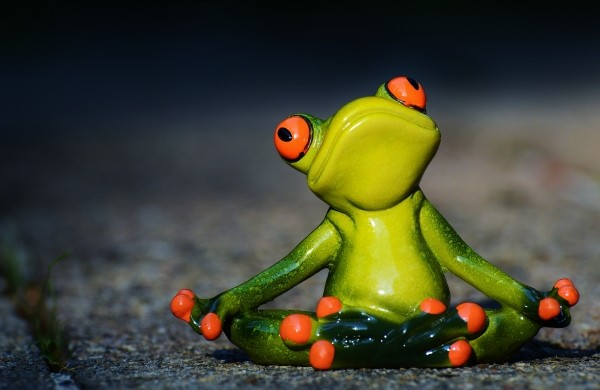 When you hear an instructor use the term asana, just think of it as a fancier term for pose. Vinyasa translated means arranging something in a special way. To make it seem less complicated, this term is used when referring to a sequence of different asanas at once. When you hear a teacher say, “flow through your vinyasas,” they just mean that you should go through each movement and make each pose at your own pace. There is no need to rush through anything. This term is translated to mountain pose. When you are instructed to do a tadasana, you are meant to stand tall like a mountain. This pose is meant to make sure you get grounded to your mat. With your feet firmly on the ground, you should extend the top of your head as far as you can towards the sky. This will lengthen your spine and get you in a relaxed state. You will most likely do this at the beginning and end of your yoga sessions. The origin of this term comes from India. In India, anybody that wasn’t royalty had to sit on the ground. So, the people created utkatasana to represent royalty. You quads are going to burn when you do this pose. Think about a squat, but instead of going down and coming back up, you are going to hold the position for an extended period of time. This term translates to corpse pose. This is usually done towards the end of a yoga sequence. When you do this pose, you are bringing everything you have done up until now, full circle. You are becoming one with your mat. Now, it may not be a difficult pose to do, but finding your center while you’re doing the pose can be difficult. You should close your eyes and allow yourself to gather all your thoughts and let each of your worries go away. In yoga, everything is about peace and finding your center. This is why namaste is the perfect way to greet and leave any yoga room. This phrase doesn’t really have a direct translation. However, many say that its translation represents something similar to the heavens. It’s said that “om” is one of the most powerful phrases in yoga. Om is definitely a term that should resonate with you during a yoga sequence. The term was initially meant to calm you down while you are going through anything. These are all phrases that you are guaranteed to hear at one point or another when you are in a yoga class. They are the basic terms that will help you get through the class. Yes, they aren’t the most simple words to understand, but after a while, you’ll hear them and they will become like a second language to you. You’ll hear the words and you won’t have to translate them. Your mind will hear the words and your body will respond with no thought required. 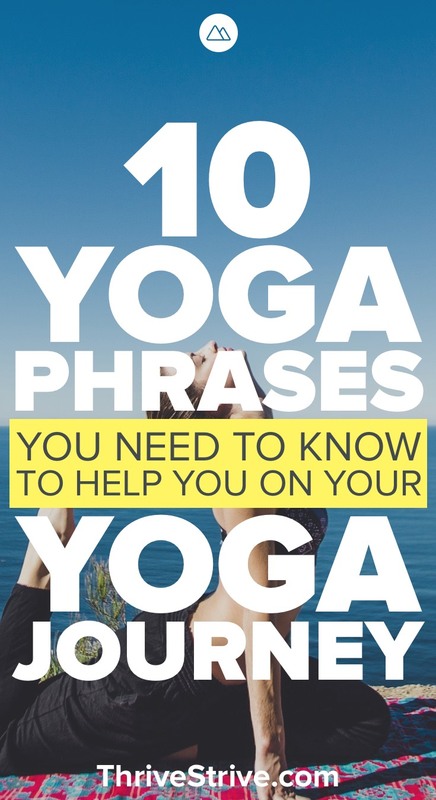 Enjoyed 10 Yoga Phrases You Need to Know to Help You on Your Yoga Journey? Share it with your friends so they to can follow the Thrive/Strive journey.